We are pleased to announce our LinkedIn social media platform has topped over 5,000 followers! The social media platform joins our Twitter page in achieving this milestone. You can follow us on LinkedIn at FORS – Fleet Operator Recognition Scheme and Twitter at @FORS_online to keep up with the latest scheme information, upcoming events and industry news. 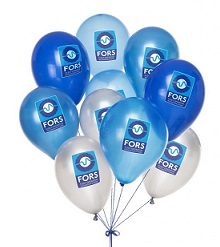 We like to celebrate your achievements too, so make sure you tag FORS when celebrating your accreditation success so we can ‘like’ your post and re-share it.